The insurance business has been reluctant to transform itself for a long time, but now the industry itself and numerous disruptors from the outside are focused on upgrading the insurance distribution channels to satisfy the digital-native customer. Customer benefits of the digitization include easy policy management via websites or mobile apps, better buying experience and competitive price landscape. 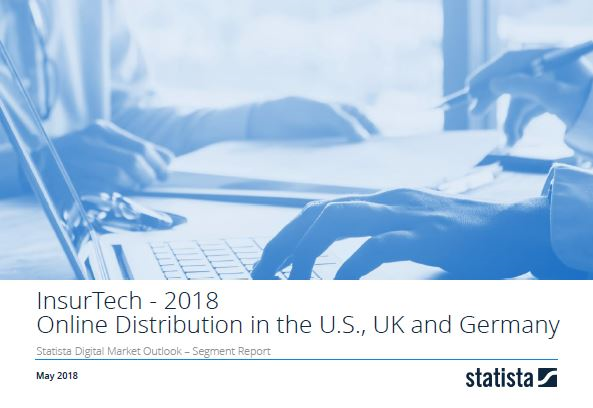 In this report, we take a look at online B2C distribution of policies via direct digital channels and aggregator websites in the U.S., the UK and Germany. The Life & Health insurance segment covers life, accident and health insurance policies. The Property & Casualty insurance segment covers digital distribution of personal motor, home (incl. renters) and general liability insurance. The Life & Health insurance subsegment covers life, accident and health insurance policies, distributed digitally via direct online B2C channels or an aggregator platform. Policy coverage may include children andother family members of the insured. The Property & Casualty insurance subsegment covers digital distribution of personal motor, home (incl. renters) and general liability insurance.